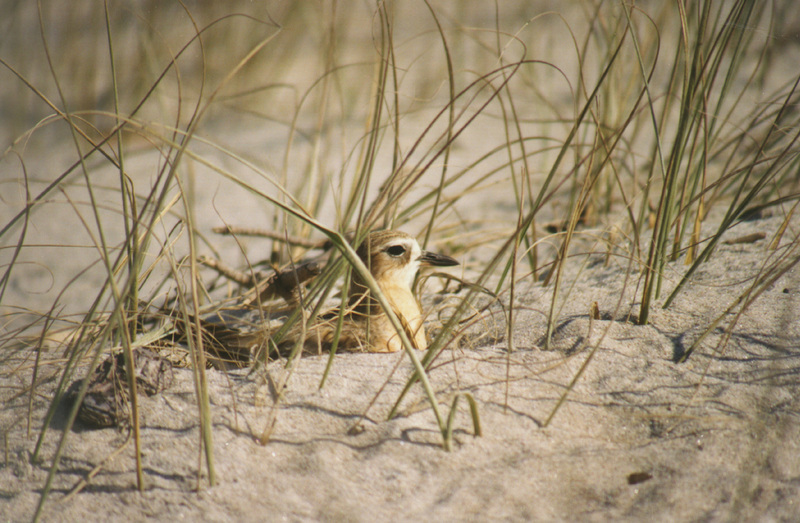 Today’s photo of the week is of a New Zealand dotterel/tuturiwhatu nest on a beautiful beach in the Far North. DOC’s Julie Kidd shares news of recent conservation successes around the islands of the Hauraki Gulf. Whilst many folk are doing their best to be seen on our beaches this summer, some of our more secretive residents are struggling with the crowds. 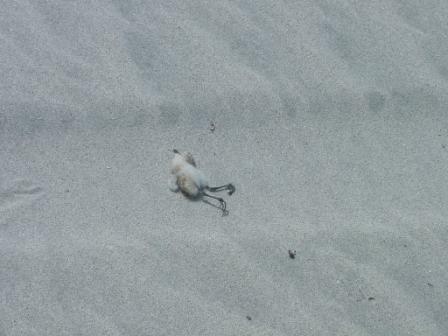 I’m talking about the NZ dotterel (tuturiwhatu) which nest in sand scrapes on many of our North Island beaches. These birds and their nests are well camouflaged and often invisible to the untrained eye, leaving them vulnerable to disturbance by unwary beachgoers, their dogs and vehicles. Today I’ve had a report from a member of the public about people walking through the fenced off nesting site at Matakana to relieve themselves and to sit in the sun. 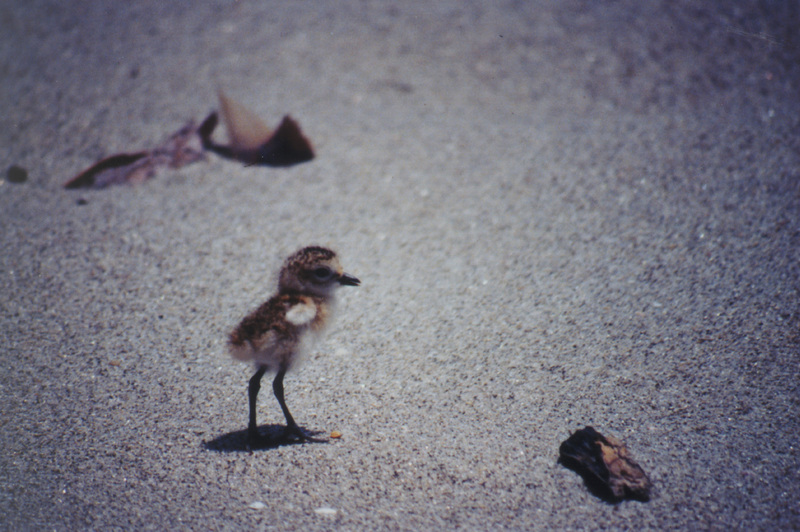 When dotterel adults are disturbed off the nest while incubating, the eggs are at risk of overheating. Young chicks, when disturbed, can die from exhaustion as they cannot eat in time, or get to their feeding grounds at the water’s edge. Here in Tauranga we have major dotterel nesting sites on Matakana Island and Maketu spit that are protected through the efforts of Ranger Witana and the Port of Tauranga at Matakana and community volunteers at Maketu whom control predators, monitor breeding success and fence off the nesting areas in an effort to protect them from being disturbed. 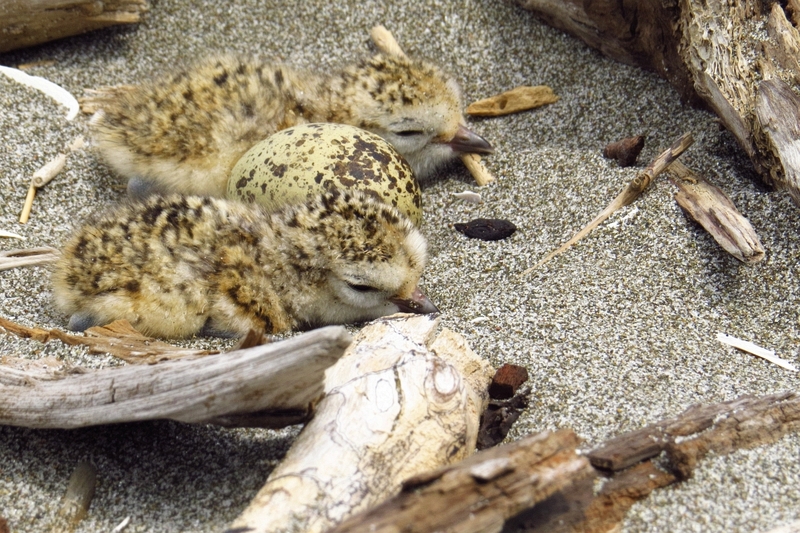 Birds bred at Matakana last year have recently been seen at beaches around the Coromandel and East Cape. So as you enjoy the beach this summer, please spare a thought for the shy locals (even if you can’t see them) and give them a little space. 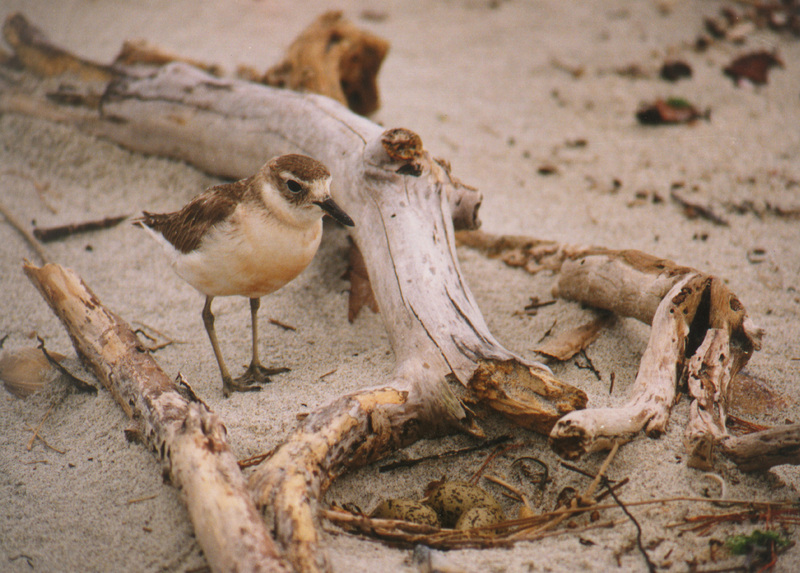 For more information about NZ dotterel, please visit our website.